Barbeque sauce recipes vary from region to region. The recipes on this page use some ingredients you may not have thought of before. In large bowl, combine barbeque sauce, ketchup, beer, honey, lemon juice, vinegar, mustard, Worcestershire sauce, hot pepper sauce, pepper, garlic and onions. Place food in marinade and let stand at room temperature for up to 2 hours or in refrigerator overnight. When ready to cook, remove food and place marinade in saucepan and cook for 10 minutes or until thickened. Use as sauce for basting or serving with cooked food. Combine all ingredients in a saucepan and heat to blend together. Remove lemon peel before basting. dissolves. Reduce heat and simmer 20 minutes. reduced to thick sauce, stirring occasionally. Stir occasionally. Add remaining ingredients and simmer uncovered over low heat for 2 hours. Allow to cool to room temperature before using. over hot coals. When meat is turned, brush with sauce. Grill to desired degree of doneness. Just before meat is removed from grill, brush again with sauce. Makes enough for 8 servings. 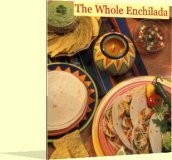 Want to learn more cooking techniques and Mexican & barbeque recipes - delivered monthly to your inbox? Learn time-saving tips & techniques for cooking all kinds of food, including barbeque and seafood. Lots of delicious recipes, too.